Jon Christensen is an adjunct assistant professor in the Institute of the Environment and Sustainability, the Department of History, and the Center for Digital Humanities at the University of California, Los Angeles. He is a journalist-in-residence at the Institute of the Environment and Sustainability, a founder of the Laboratory for Environmental Narrative Strategies in the IoES, and a senior fellow in UCLA’s cityLAB. He is editor of LENS Magazine. He is also a partner and strategic adviser at Stamen Design, a National Design Award-winning interactive design and technology firm specializing in mapping, data visualization, and strategic communications. And he is a columnist at LA Observed, a contributor to other newspapers and magazines, and a commentator on radio and television. 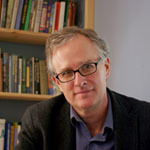 Jon was executive director of the Bill Lane Center for the American West, an interdisciplinary center for research, teaching, new media, and journalism at Stanford University before coming to UCLA. He has been an environmental journalist and science writer for more than 30 years. His work has appeared in The New York Times, Nature, High Country News, and many other newspapers, magazines, journals, and radio and television shows. Jon was a Knight Journalism Fellow at Stanford in 2002-2003 and a Steinbeck Fellow at San Jose State University in 2003-2004, before returning to Stanford to work on a Ph.D. in environmental history and the history of science. He was editor of Boom: A Journal of California, a quarterly magazine published by the University of California Press, from 2013 to 2016. He is currently finishing a book entitled “Critical Habitat: A History of Thinking with Things in Nature” and is engaged in multidisciplinary research on equity and the environment. He was a co-coordinator of a Mellon Sawyer Seminar on “Environmental Humanities: Emergence and Impacts” at UCLA, which resulted in The Routledge Companion to the Environmental Humanities, an edited volume of essays published in 2017. And he is a participating scholar in Public Knowledge, an ongoing project of the San Francisco Museum of Modern Art and the San Francisco Public Library. Jon usually doesn’t speak or write in the third person. Can global warming really be stopped? A new report from 50 researchers and scholars from across the University of California system says yes—in part by using scalable lessons learned from the system’s own pledge to go carbon-neutral by 2025. 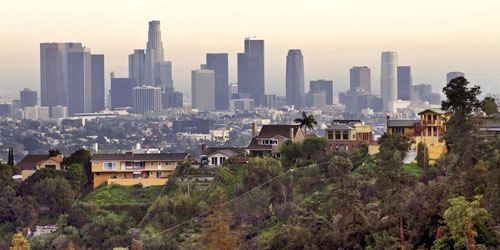 The California coast is reaching a tipping point of becoming out of reach for many Californians. Our research and policy report “Access for All: A New Generation’s Challenges on the California Coast” includes new results from a statewide voter poll and a series of Southern California beach surveys, as well as a new analysis of economic barriers to access to the coast. The analysis probes why 62 percent of California voters told a recent poll that coastal access is a problem, and even more said limited affordable options for parking and overnight accommodations and limited public transportation are problems in the parts of the California coast nearest to them.